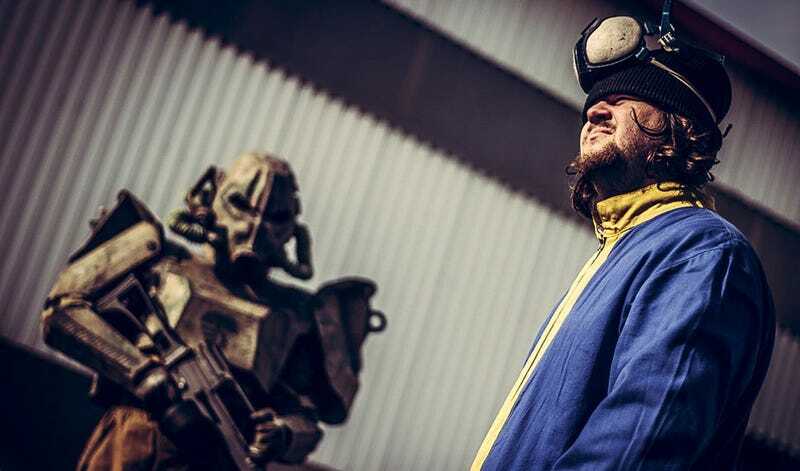 This isn't just Fallout cosplay. This is Fallout LARP, a group of dedicated fans in the (where else) Czech Republic taking to some crummy old buildings and role-playing their own post-apocalyptic adventures. The 2014 edition will take place in August; these pics (taken by Tomas Felcman) and videos are from last year's event. As you can see, they don't hold back; most character types are represented (even the Brotherhood of Steel), they've got a vault, they're packing impressive firearms, they trade in bottlecaps and even use stuff like smoke effects to make combat a little more immersive. I'm not sure if European forklifts are canon, but damn it, they should be.